Dancing With The Stars Derek Hough was a guest on Jimmy Kimmel Live last night!! Jimmy teased him on Dancing With The Stars. Derek also talked the Wonderful World Of Disney 60th Anniversary Special coming up this Sunday night on ABC. Check it out below. To see some pre-show coverage and screenshots of Derek at the show, see Pure Derek Hough. Thanks to @IdolXfactor1 for recording. Saving the best for last, below is Donald & Peta, Mark & Katherine, and William and Cheryl on Good Morning America today after catching a red eye to New York City last night. GMA asks them some great questions, Len has a special message for Donald and it’s well deserved, William’s little boy shows some love (a total awwww moment), and the couples dance too…. After the show last night, Bruno was a guest on Jimmy Kimmel LIVE. He enters the studio in a tank top with Dracula teeth as the “real him”. 😯 He takes a bite out of Jimmy and Pee Wee Herman. Bruno explains what Halloween is like in Italy. Jimmy also asks Bruno on Dancing With The Stars and the tension last week. Bruno explains how intense the competition is at this stage and how hard it is to see people go. He appreciates everyone’s efforts, but, they also should know that it’s only right for the best dancers to make it when they sign up. More below, but, Bruno goofs around more than anything wanting to play Dracula. Ok, so…. And so we say Good-Bye to Mark and Kristin on Dancing With The Stars. Below they make the press rounds on On The Red Carpet, Jimmy Kimmel LIVE, and Good Morning America. They are disappointed and shocked. Mark even looks angry in some shots. He thinks Kristin was underscored by the judges this week which I disagree with. She’s lucky to have received 8’s in my opinion. Adding: You can see their Good Morning America >>>HERE. Mark is clearly upset with the judges “low balling”. Not sure on this Dancing With The Stars new cast possibilty and it’s probably unlikely, but, Mike Tyson was Jimmy Kimmel’s guest Thursday night. In Thursday’s segment with Mike, Jimmy questions Mike about the possibility of him dancing on the show since he’s currently starring in the Argentina’s “Dancing With The Stars”. Tyson replies, “They [the US version] don’t pay as much as Argentina” which makes me wonder if he hasn’t been asked and given an offer by the American version. What’s more, Mike’s wife wants him to do the show. Mike and Jimmy talk about Dancing With The Stars at the end of the first video and at the beginning of the second video. Speaking of another athelete dancing on the show and after Hines Ward winning the Mirror Ball this Season, as well as other atheletes in the past, do you think atheletes have an unfair advantage over the rest of the contestants in the competition and should execs think of not including them in the future so others have a chance to win? I ran onto this article at Popwatch that examines the question. With Pittsburgh Steelers wide receiver Hines Ward bringing home the glittery disco ball last night, it’s easy to wonder if the reality show’s athlete stars have an advantage on the show. After all, they do have a major foot up, thanks to years of vigorous physical training, which sometimes includes dance. (I’m fairly certain all pro football players are sanctioned by the NFL to know and perform the Super Bowl Shuffle on command.) And as as most late night talk show hosts have been quick to point out, Kirstie Alley wasn’t nearly as athletic as her DWTS counterpart Ward, so did she even have a fighting chance to take the whole thing? Did Hines, like Shawn Johnson and Emmitt Smith before him, come in with physical capabilities the other contestants simply couldn’t compete with? Or was he, like them, just a better dancer? So, what do you think? 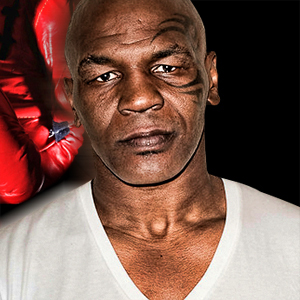 Do you like the idea of Mike Tyson (another boxer) doing the show? Also, do you think the show shouldn’t cast any more atheletes since they have unfair advantage? One more question, if you’d like to see more atheletes on the show, who would you like to see dance? In my opinion, I don’t care if the atheletes have an advantage or not. Yes, Kirstie might have won this season if Hines wouldn’t have danced. Even still, I’ve loved the atheletes on the show with my favorite being Evan Lysecek. Not sure about Mike Tyson though? He seems a little cocky. I continue to dream on Johnny Weir being cast …as well as Oksana Baiul or Katerina Witt. I’d love to see Chris Evert do the show too (or any tennis star for that matter). Heidi’s Note: So, Nicole’s an athlete now?? Give me a break. I also don’t count Helio as one either. As for if they have an unfair advantage?? Most everyone cast on the show has some sort of advantage (it’s about whose is biggest) and I think this is just another way for those who LOST to whine about losing. If it’s not “previous experience” it’s “athletes”. :::rolls eyes::: EVERY season you can point at at least one person and say “So and so would have won, if not for_____” Winning or losing has to do with a huge number of factors besides that person’s past history – Chelsea SHOULD have had the biggest advantages as she was the youngest, and we saw what happened there – beaten by said 60 year old Kirstie. Why? Kirstie had fanbase – a better advantage than Chelsea’s age. Hines beat Kirstie because he was an athlete? Doubtful – he could move better than her and his personality was very engaging. Could he move better because he was an athlete? Well, how about the fact that he’s half Kirstie’s age?? I think this is just another case of sore loser-dom. 🙂 I’m with Vogue – bring ’em on.